Ho, ho, ho. Well boys and girls and everyone who’s still a child at heart, Christmas is officially over for me for another year. I’m now back home in the North Pole with my wife Mrs. Claus, Elfie, Chase and Olaf. As it was a relatively clear night with an almost full moon when I made my rounds, I didn’t need Rudolph this time, and my flight was unhampered and uneventful. 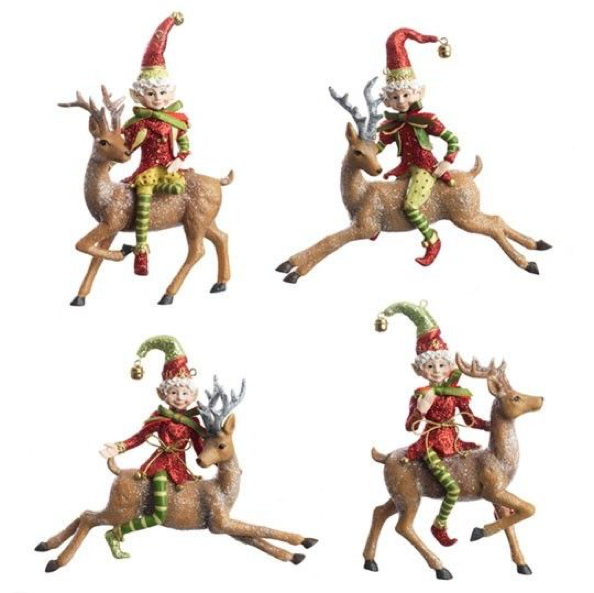 As for the rest of my faithful reindeer, Dasher and Dancer, Comet and Cupid, Donner and Blitzen as well as Prancer and Vixen; well they’re all now enjoying some well-deserved rest and recreation, playing with the elves outside in the snow or chowing down on the abundance of carrots all of you left for them. Now I trust all of you had a wonderful and joyful Christmas morning, not just with lots of toys or gifts, but also time spent with family, friends and loved ones. And let’s not forget, lots of delicious food to eat. After enjoying our sumptuous Christmas feast, I had the privilege of reading the whole Christmas story to the family. Yes, even Santa Claus owns a Bible. Remember, one of my other names and titles .after all is Saint Nicholas. If you still don’t know who I am, Google me. My history is unique and exciting, and sometimes I’ve been known to be somewhat controversial. Santa is not perfect, regardless of what you believe. But enough about me and history. By now you must be wondering, does Santa Claus get any gifts? Why of course I did! I got a great gift from Mrs. Claus – a new work-bench – so I can expand my toy making area. Trust me, my elves and I can never have enough bench space or tools because the number of children around the world is ever increasing. I also got a new quill fountain pen and plenty of ink to write down the growing list of new toys we need to manufacture. I use a different pen; perhaps some of you saw Mrs. Claus writing with it when we were recording some of your names into my Nice or Naughty book, including what presents you were hoping for or me. It’s a RED PEN. And did I also mention, I got red socks…ho, ho, ho. I’m thrilled to announce we had another year without having to record one naughty child into my Nice or Naughty book while I was making my visitation rounds. For your information, my rounds took me and sometimes the both of us, me and Mrs. Claus to some very fancy private homes. A few times to modest school gyms – to help raise money to purchase new school equipment, or perhaps just merely to promote a business. 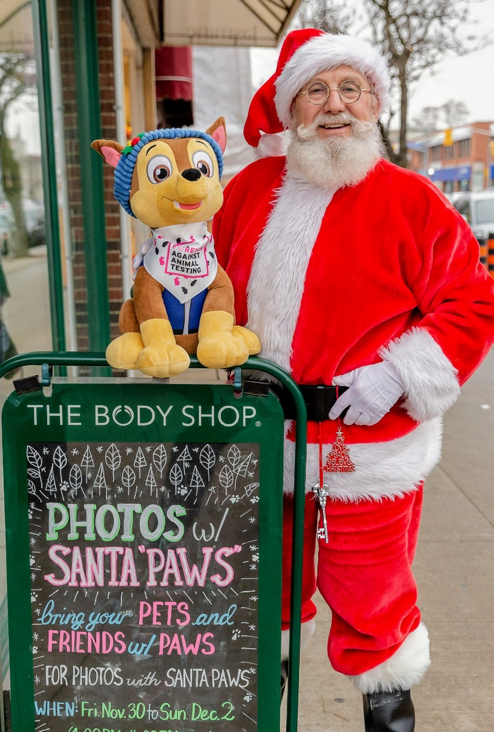 There was a fashion retail outlet raising support and awareness for the prevention of inhumane testing of cosmetics on animals; Chase was very supportive of this cause. I would never allow any cosmetic company to test if their products are harmful to any of my reindeer. I visited a sports complex where young aspiring gymnasts get to train. To my delight, some of these young acrobats performed summersaults and backflips before me. Even I got to bounce on their bouncy runway…but not too high mind you, ho, ho, ho. Sadly, I went to attend a function in Shelbourne only to discover someone had made a grievous error in booking time. They had wanted me an hour earlier. When I didn’t arrive, they had to scramble and were forced to hire a ‘make-believe Santa!’ It broke my heart, but I’m glad I didn’t happen to walk in and have the children see two Santa’s. How awful would that be!! I cannot stress it strongly enough, your parents and organizers, always are like Santa and check your list twice!! Markdown both the day, eg, Sunday, Monday, Thursday, etc., along with the date, eg, the 16th, the 24th, the 27th and so on. Give both your company phone number as well as your cell number along with your name so I can confirm our engagement. The year is quickly coming to an end and hopefully a better, happier and more prosperous new year lies before us. Much of it will depend on you; your attitudes, faith and compassion. It’s up to you to be helpful and kind, not naughty or inconsiderate. Make the world a better place by making yourself a better person. Until we meet again, everyone here at the North Pole wishes all of you a HAPPY NEW YEAR. See you next Christmas. Our sincerest love and best wishes for all. Santa and Mrs. Claus, Elfie and the rest of the elves, as well as Chase and Olaf. The Christmas season is in full swing, and our Santa & Mrs. Claus have been out working every day to bring the Christmas cheer to all the families and children. I just wanted to share a day out with these two wonderful people who not only love this time of year but have made it their mission to share the Christmas cheer with every party, office party and school visitations. Santa & Mrs. Claus have been out every day this month. Today they spend the afternoon with a lovely family just north of the city. It was a warm and inviting home, and they felt right at home. They met with some wonderful children and took pictures with the whole family after they all sat down together and baked and decorated some cookies. 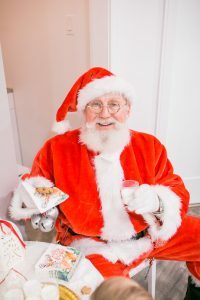 Our Santa’s time is at a premium with only a few weeks until Christmas. 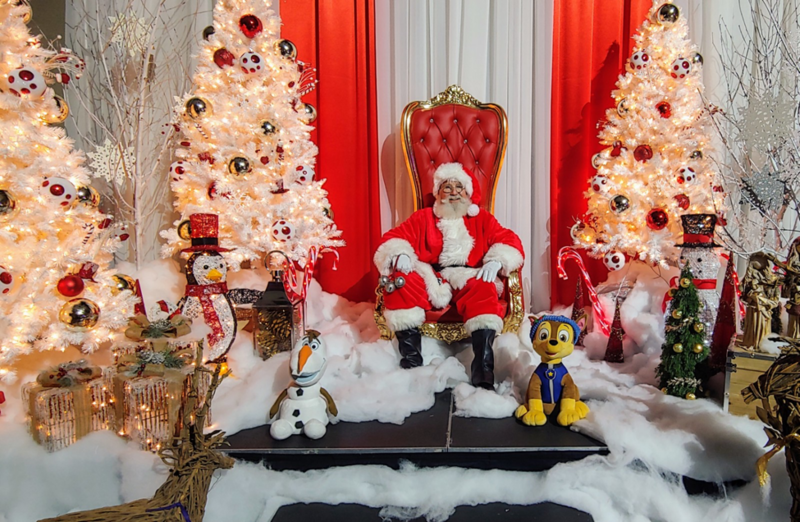 If you have left booking a Santa Claus until now, I encourage you to call Stage Entertainment to see if we can help you. We have quite a few performers out working this Christmas season. Santa Claus, Mrs. Claus, helpful elves and even a Grinch! Christmas time is a hectic and enjoyable time for our entertainment company, and we continue to do our best to help you pull off the best Christmas parties you can. 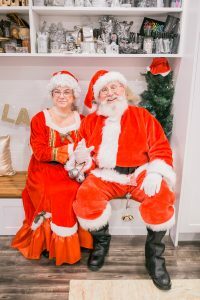 Our Santa Claus and Mrs. Claus performers love what they do and look forward to working with you to pull together the best Christmas party f the year. Stage entertainment is always available to help with your Christmas parties and seasonal events.